Flooding across the northern and northwestern parts of Iran has claimed four lives since Friday, a report said. Floods hit several areas in the northern and northwestern parts of Iran after days of heavy rain, destroying homes and bridges. Citing sources in Iran’s Rescue and Relief Organization, Tasnim news agency said at least four were killed as results of flooding and lightning. Over the past two days, four provinces of Mazandaran, Gilan, Ardabil, and West Azarbaijan were hit by floods. Rescue teams are helping people pump out flooded houses and pull out cars stuck in flood, the report added. 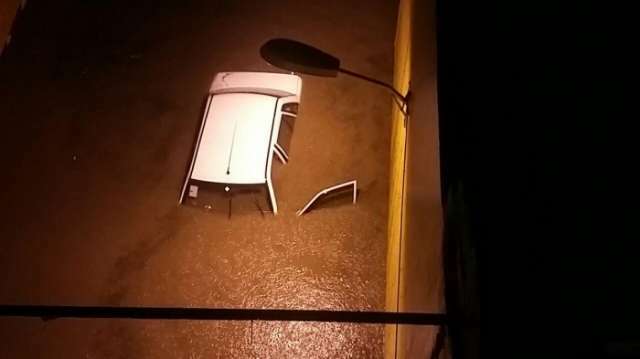 One taxi driver drowned in flood waters in Chaloos, Mazandaran Province, north Iran, the deputy governor-general of the province told the Islamic Republic News Agency (IRNA) on Saturday. The 72-year old taxi driver drowned under an overpass in Tazeh Abad in Chaloos at about 6:00. this morning,' said Hameed Mohammadi-Firouz. Some villages of the area are still flooded, Mohammadi-Firouz said. He implied that the flood could be much worse if the rivers and streams had not been dredged. It has rained 250mm since Friday evening in Mazanddaran, which broke the 17-year record of the province. Many towns in Mazandaran and its adjacent province, Gilan, have closed their schools due to inundations. Flood also forced schools to shut down in some parts of the northeastern province of Northern Khorasan Ravazi and blocked the roads of 22 villages in some other parts.